A Gregorian Mass of Christian Burial was celebrated at San Nicola Church in Cotronei. Music and chanting were provided by Professor and Musician Salvatore Cinino along with the choir. Entombment took place in the Oliverio Iaquinta Family Chapel in San Giovanni in Fiore. Vito Destito, formerly of Clarksburg, passed away on January 20, 2019, in Cotronei, Calabria Italy. He was born in Italy and moved to America in 1958 to work as a carpenter. Vito is survived by his wife, Maria Iaquinta Destito, whom he married on July 19, 1976. He is also survived by his cousins Rose and Louie Mazza, Giuliana, GJ, and Nico, Serafino Mazzei, Alex and Adrianna, Alessandra and Sean Messe, Sean Joseph, Antonio, and Gabriel, Joe and Maria Pasceri and family, brother-in-law Giovan Battista Iaquinta and family, and sister-in-law Rosa Iaquinta. 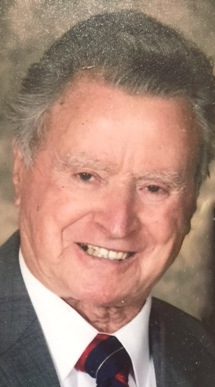 Mr. Destito was a lifelong member of Immaculate Conception Catholic Church. He participated in and supported the WV Italian Heritage Festival since 1979 until he and Maria moved to Italy on May 25, 2016. He was one of the four original bearers of the St. Johns statue in the West Virginia Italian Heritage Festival parade. Expressions of sympathy may be extended to the family at www.amoscarvelli.com Amos Carvelli Funeral Home.